Steel Drum available in various size and hight. Hight : 3" to 12"
We make also as per your requirement. Having anchored the drum chair for the likes of Madonna, Sting and David Bowie, to name a few, Omar was looking for a unique sound while designing his signature snare drum. The 13 x 5 shell has a power piccolo sound, while the Mahogany helps to produce the perfect blend of sonic power, projection and tonal color. 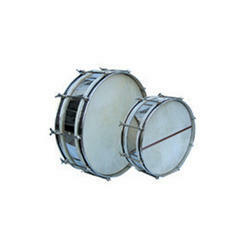 With our years of experience & in-depth knowledge in this field, we are engaged in offering a quality-assured array of PT Drum. 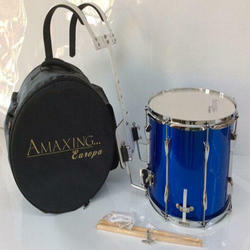 Backed by a rich industrial experience, we are engaged in bringing forth a comprehensive variety of Band Drum.